One on one interview. This is of interest to the property world. Investments. Make shopping in Poland – the appetite of investors and investment funds for properties in Poland has not been weakening. A recipe for an ideal project. Poland's position on the global investments map – attractions and deterrents. What are the challenges? Coworking. The trend that has “rejuvenated” thinking about offices. How will the market for coworking space develop? The customer of the 21st century. Does the Internet threaten traditional shops? How will e-commerce change shopping centres? World brands and local players are oriented on Poland. They’re opening new hotels, buying land and looking for facilities to acquire. How will the market divide up? Przemysław Wieczorek - Member of the Board, Puro Hotels Sp. z o.o. Offices. Coworking has been growing fast in Poland. Will it become competitive for developers? The world keeps changing and so do properties. For several years, coworking has been conquering the office market in Europe. London has been the place with the largest demand for such centres. Now the trend has come to Warsaw – how will it change the office market in Poland? Who is happy with the coworking boom and who feels threatened? Contracting. A time of challenges – problems in the construction market vs. development of the property sector – are there real concerns? Will developers withdraw from looking for general contractors and perform investments on their own? Growing prices of construction services and materials and problems related to shortage of labour – apart from the decreasing availability of land and increasing land prices – is one of the major challenges for the property sector. As a result of a shortage of subcontractors, developers “fight” to find subcontractors. How will those problems affect the time required to complete projects? 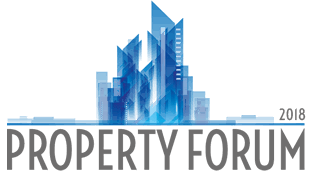 The PropTech Festival is a new event and competition accompanying the Property Forum 2018, targeted at creators of innovative technologies for real estate organised by the PTWP SA Group, the publisher of Propertynews.pl and Propertydesign.pl, the organiser of Property Forum 2018 Conference. Creative, innovative, advanced and tailor-made to match the future needs and expectations of the market – we want to promote such solutions and present them to the heads of major market players on the commercial property market: developers, investors, managers and tenants. The PropTech Festival features presentations, discussions and meetings. The authors of the best solutions will be honoured during the Gala for the Prime Property Prize 2018. Shopping malls. The sector has never seen such times before. What is the market in for, what should the investment targets be? Extremely fast growth in internet sales, the fashion for alternative shopping places and legal changes – doing business in the shopping centre market is no piece of cake any more. There is a lot to fight for since shopping malls continue to be the most attractive investment product in the commercial property sector, much in demand among funds and investors from all over the world. In Warsaw, a forest of skyscrapers has been growing. Where does the boom come from and how do the skyscrapers tempt future tenants? Marek Kuryłowicz - Proxy, Chairman of the Board, Kuryłowicz & Associates Sp. z o.o. The hotel market has been booming in Poland. The investment boom is overshadowed by the threat of lots of apartments for rent and a growing competitor – Airbnb. This may change as the Ministry of Sport and Tourism wishes to regulate the business of the latter. Who will gain? Who will lose?